Dear Applicants, If you are seeking for KSRTC Recruitment 2018 ? Here is a good news for you. Karnataka State Road Transport Corporation has Issued 726 Vacancy on the Post of Technical Assistant. Participant should fill up Application Form for Karnataka RTC TA Vacancy 2018 before Last Date 25.04.2018. KSRTC Jobs 2018 has published Notification on 17.03.2018. Aspirants may also Download Karnataka RTC Notification 2018 from links given below. Karnataka KSRTC Recruitment 2018 will be issued application Form from 05.04.2018. Participants who want Karnataka RTC TA Jobs 2018 must apply as soon as possible. Applicants should check required Qualification, Age Limit and Selection Process given below. Candidates should pay their Fee till 28.04.2018. Karnataka KSRTC Technical Assistant Bharti 2018 gives you opportunity to grab Government Job. Participants should prepare themselves for Karnataka RTC TA Examination 2018. Fresh Update as on 05.04.2018 : KSRTC Technical Assistant Online Form starts from today. Applicants who are interested and also eligible for KSRTC Recruitment 2018 now can apply here. The Karnataka RTC Online Form here on given below link. Click on the link and then fill your application form carefully. Am I Eligible To Apply for Karnataka KSRTC Recruitment 2017 ? Applicants may check total number of vacancy available in KSRTC Technical Assistant Jobs 2018. Participant must download KSRTC TA Vacancy 2018 Official Notification with the help of links given below. Applicants should consult all the details from KSRTC Notification 2018 at official website. Candidates can apply for Karnataka RTC Recruitment from this page, links are given below. Applicants who are participating in KSRTC TA Vacancy 2018 must check here qualification, Age Limit and Pay Band. Participant who are not eligible for KSRTC Recruitment 2018 their forms will be rejected. Candidates may download Karnataka RTC TA Recruitment 2018 Notification from links given below. A pass in ITC/ITI/NAC in Mechanic (Motor Vehicle) /Diesel Mechanic/Auto Electrician/Welder/ Sheet Metal Worker/Electronic Mechanic/Upholstery/Draftsman(Mechanical)/ Fitter/Machinist/Tyra fitting/ Vulcanizing/Painting/Refrigeration and Air Conditioning/ Turner/Automobile/Electrical/Electronics/ Fabrication (Fitting & Welding) from an institution recognized by the Technical Board/ or the Government after a pass in secondary board education. Candidates Shall obtain Light Motor Vehicle Driving license before completion of the Probationary period. Furthermore check KSRTC TA Jobs Notification. Here we Provided you Age Limit For KSRTC Technical Assistant Vacancy 2018. Karnataka RTC TA Bharti 2018 has published Category wise list of age Limit given to different caste of Candidates. Furthermore information you can also check KSRTC TA Job Notification mention below. Salary Package for Karnataka RTC Vacancy 2018 is Rs. 11640/- to Rs. 11920/- with good amount of grade pay. For Furthermore details applicants should consult to KSRTC TA Recruitment 2018 Notification from below Links . Here we Provided you Easy steps to fill up Application Form For KSRTC Vacancy 2018. Selection Of Candidates are based on two stages that are Written Test and Interview. Applicants Should Clear Written Test first then He\She Can Call for Interview bye Karnataka RTC Jobs 2018. Final Selection are done on the basis of Written Test. Candidates must prepare strong for written test. Applicants may also consult details from official Notification of KSRTC Recruitment 2018. Participants should check table below for category wise Application Fee set by Karnataka RTC TA Jobs 2018. Here we provided you links to download Notification of KSRTC Bharti 2018. We also Provided you easy step which help you in Filling up Application form for Karnataka RTC TA Recruitment 2018. Participants who are going to apply for Karnataka RTC Technical Assistant Vacancy 2018 follow these steps to fill up Application Form. Candidates may also download Official Notification of Karnataka RTC Recruitment 2018 Pdf from links given below. Secondly Applicants may search for Recruitment section at Home Page. Click on the Karnataka RTC TA Vacancy 2018 Notification . Applicants should read all the details carefully. After reading aspirants should apply for KSRTC Jobs 2018. Eligible candidates can fill up application form . After that Participant should recheck all the details. Now submit your KSRTC TA Recruitment Application form and pay Fee. After submission of Form Candidates must note down Registration Number. Conclusion : Karnataka State Road Transport Corporation has announced 726 Technical Assistant Vacancy. 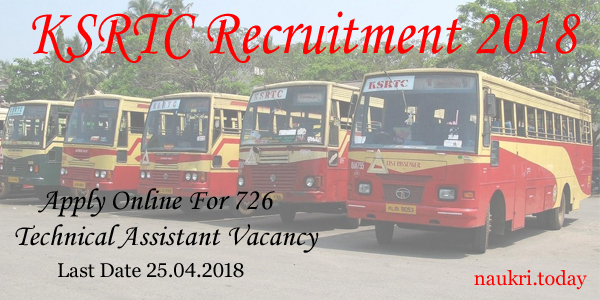 Interested candidates may apply for KSRTC Recruitment 2018 before the last date 25.04.2018. Applicants should check eligibility criteria, Pay Scale and Selection Process. Applicants may download Karnataka KSRTC Technical Assistant Notification 2018 Pdf from Links given above. Karnataka State Road Transport Corporation is conducting recruitment process for 59 Officer & Manager vacancy. Applicant who are waiting for Karnataka Jobs may fill KSRTC Recruitment 2017 application form. Last date to fill the KSRTC Online Application form is 31.01.2017. 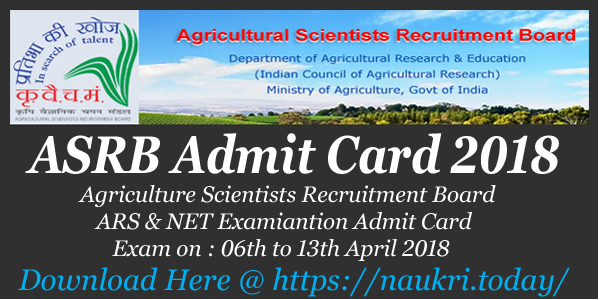 To know more information candidate should check the below details. KSRTC has issued 59 vacancy of Assistant Accountant, Assistant Stores Officer & other post. As per the Karnataka State Road Transport Corporation Notification 2017 the application for will be available in online mode. Interested candidate can fill the KSRTC Karnataka Recruitment 2017 Online application form before the last date. Other details of Karnataka State Road Transport Corporation ksrtc1.online-ap1.com jobs 2017 like Education Qualification, Selection Procedure, Application Fee are mentioned below. Education Qualification for KSRTC Jobs 2017 : Recently, Karnataka State Road Transport Corporation has released notification for 59 Officer & Manager post. Applicant who are interested to apply for Karnataka KSRTC 2017 Recruitment should check the post wise details below. KSRTC Officer & Manager Vacancy : Candidate should have completed Masters degree in concerned stream or its equivalent qualification from any recognized university or institute for Karnataka KSRTC Jobs 2017. Remaining Post : Applicant should have passed Post Graduation in relevant stream or its equivalent qualification from any recognized university or institute for Karnataka KSRTC Vacancy 2017. Age Limit for Karnataka KSRTC Vacancy : Candidate age should be minimum 18 years and Maximum 35 years old for KSRTC Karnataka Jobs 2017. Age relaxation should be applicable as 05 years for SC/ ST category and 03 years for OBC category for Karnataka KSRTC Officer Recruitment 2017. Pay Scale for KSRTC Recruitment 2017 : After the selection in Karnataka KSRTC Assistant Stores Officer Jobs 2017 candidate will be paid Rs. 26580 – 810 – 29820 – 940 – 32640 – 1090 – 37000 – 1220 – 46760/-. Exam Fee for KSRTC Manager Jobs : General 2A, 2B, 3A & 3B category candidate should pay Rs. 800/- for KSRTC Recruitment 2017. 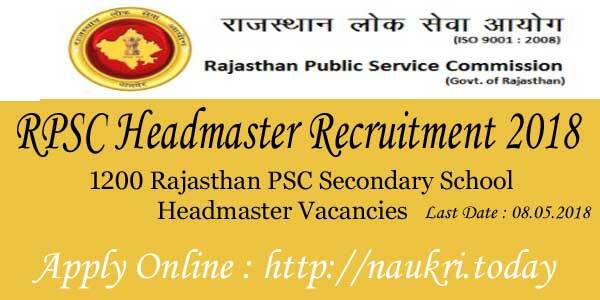 SC/ ST/ EXS category candidate need to pay Rs. 400/- as an application fee in online mode. The fee should be submitted through Credit card/ Debit Card/ Net Banking and no other mode will be accepted. Selection Procedure for KSRTC Exam 2017 : Selection of the candidate will be made on the basis of Written examination and Physical Test for Karnataka State RTC Manager Jobs 2017. Log onto the official website of KSRTC i.e. www.ksrtc1.online-ap1.com. Then after click on KSRTC Recruitment 2017 link and open the Notification. Go through all the details completely. Click on the Apply Online link and proceed to next step. Fill all the information carefully in KSRTC Manager Jobs 2017. After filling all the details upload scanned photo and signature. The details mentioned by the candidate should be genuine and correct and uploaded photo should be clearly visible. Click on the next button and proceed to fee submission page. Pay the KSRTC Vacancy 2017 application fee and click on the submit button. Take a print out of KSRTC application form and note ID & Password for future use. Conclusion : KSRTC Recruitment 2017 for 59 Assistant Administrative Officer & other post. Candidate should submit KSRTC Officer Vacancy 2017 application form before the last date 31.01.2017.